Just wanted to share of few pics of Poppy being Poppy. Oh, and Happy New Year!! 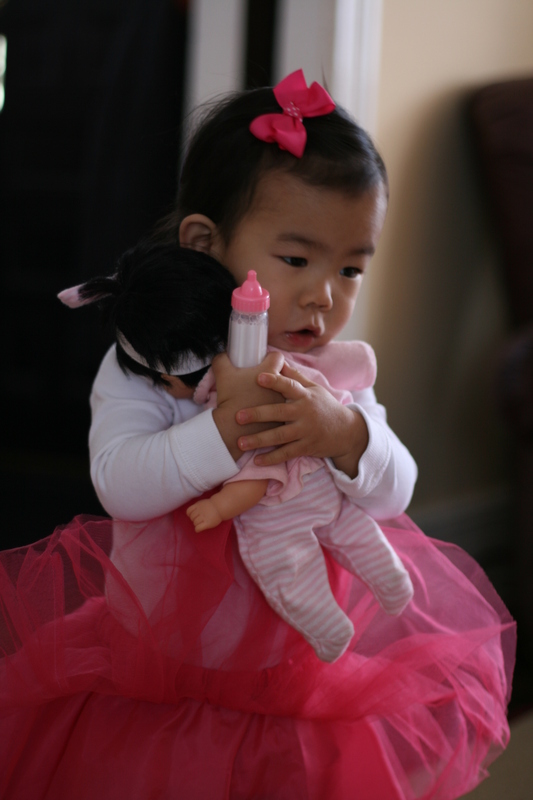 I am so glad she loves Calin Yang her baby doll!! Those are so sweet. 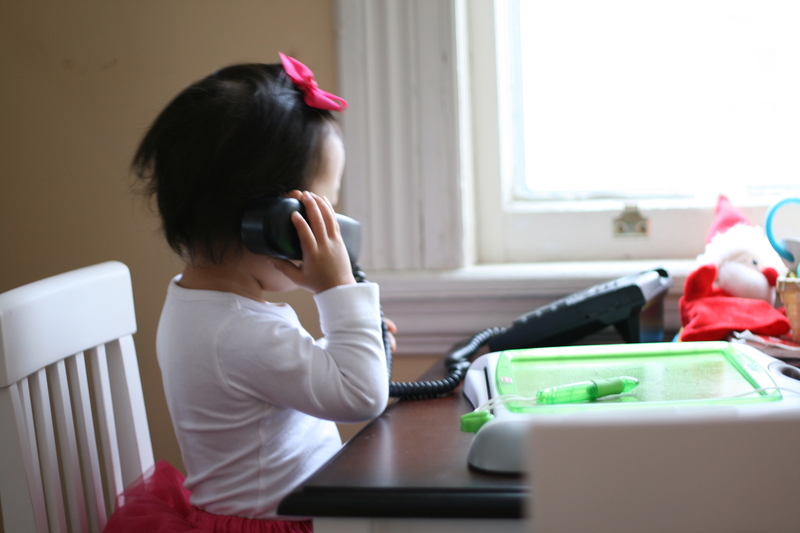 I love seeing them mimicking "grown up" stuff like talking on the phone and feeding their baby. Oh my gosh she is the sweetest little thing! 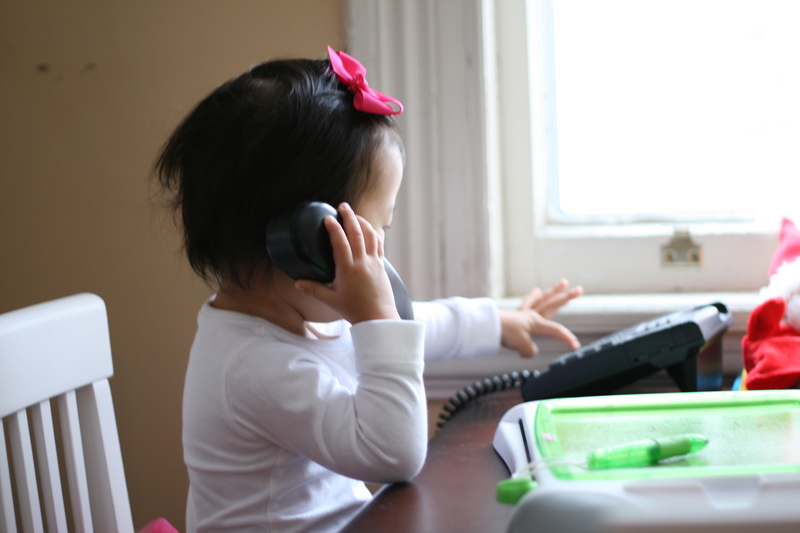 I love the photos of her with her doll. I was going to ask where you got the doll but I see Christa mentioned the name above! 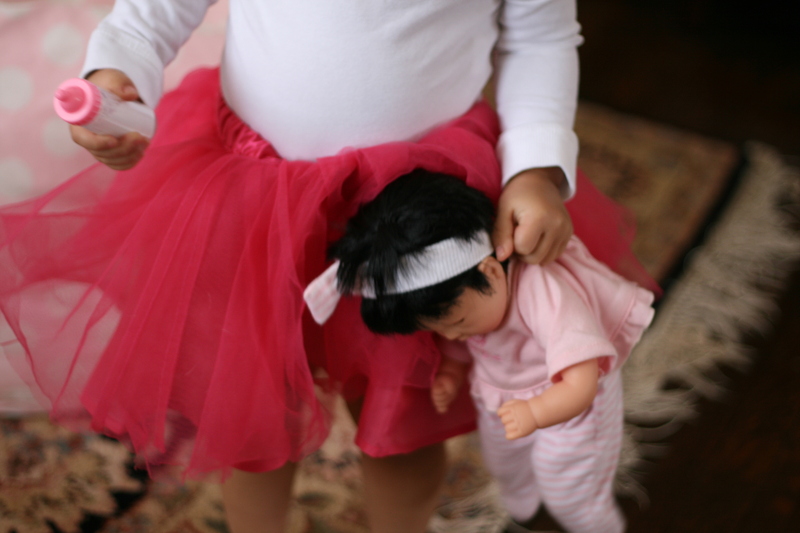 I really want to get an Asian baby doll for Lana. How adorable!!! And great pics Amanda! I love the tutu! We need to have a tutu party!!! Poppy is so beautiful, I can't wait to see her again! Gorgeous....what wonderful pictures of Princess Poppy. Tell me again what model camera you and Marc went with. It takes pictures like my old 35 mm that I can't seem to duplicate. I am jealous. Love Love Love the tutu. 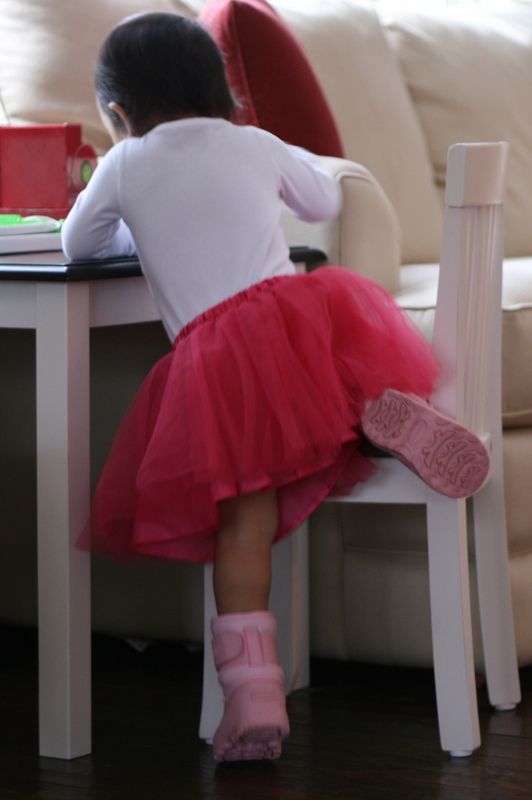 Ella has started saying tutu now and before I could even get her dressed this morning, she was asking for it :) sooo sweet!